Shipping a car to or from Jackson, Mississippi is challenging. The state of Mississippi is incredibly arduous to ship a car. Mississippi is a big wide-open land and not a lot of folks. Jackson is therefore about the only reliable place in the entire state that we can even begin to count on. Our typical 1 to 7 day window goes right out the window when it comes to Mississippi. If they are truthful, other transport brokers would tell you the same. But alas, we are usually one of the very few car shipping brokers who will shoot straight about that. Sometimes car shipments to Jackson go smoothly, but there are other times that we are confounded, especially if the other origination or destination point is somewhat remote. Now we know it’s not always possible, but if you are able and it’s not too inconvenient, we highly suggest meeting a driver in Jackson, Mississippi. At least we have a fighting chance of doing it fast there. Jackson, Mississippi benefits tremendously by being on I-20, which is a major route between Atlanta and Dallas. Also intersecting Jackson, is I-55 which connects St. Louis and Memphis through Jackson and down to the Big Easy, New Orleans. So at first blush, Jackson appears to be ideal and it kind of is. Jackson is the capital and biggest city in Mississippi, with a Metropolitan statistical area of nearly half million people. It is a very affordable town to live. I-270 connects I-20 on the northwest side of Jackson to I-55. Other Mississippi state routes include 80, 51, 25 and 18. Not too hard to get around Jackson for auto shippers. The area that now inhabits Jackson, Mississippi once was home to the Choctaw Indians. In 1830 the Choktaw agreed to leave all of their land east of the Mississippi River, and most of them relocated to Oklahoma. The weather is usually mild in the winter and scorchin’ hot in the summer. Jackson was named for none other than President Andrew Jackson, because as general he won the Battle of New Orleans. Of course Jackson is also infamously known for his mistreatment of Native American Indians, especially in the Trail of Tears. 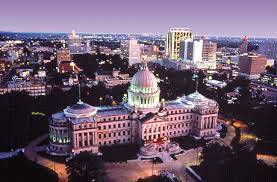 Today the town is known as “Jackson Mississippi: city with soul “. A hallmark of Jackson Mississippi is African-American blues. 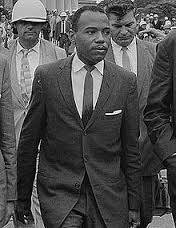 James Meredith was the first black man to enter the University of Mississippi, which drew national headlines when the governor sought to block his admittance. On June 15, 1970, two Jackson State University students were shot and killed on campus protesting the Vietnam War. That came on the heels of four students shot at Kent State University in Ohio protesting the same thing. It shocked the nation to see law enforcement or national guard troops shooting our kids for exercising their First Amendment rights. Somethin’ wrong with that! While Jackson, Mississippi is the largest city and capital of the state and has several minor-league sports franchises, it is not quite big enough to warrant a major-league sports franchise. Some of the more notable people to come from the Jackson, Mississippi area are John Grisham, a crime suspense writer, and Eudora Welty, who wrote women’s books and struggled mightily with the civil rights movement, hesitant and perhaps intimidated to actually speak her mind about the injustices she witnessed. Her books are laced with bigotry which she claimed was for the purpose of holding a mirror to the Mississippi of her day. Perhaps so … but Faulkner did it far better to the north in Oxford. Today former Governor Haley Barbour is very influential in national politics. Our auto transport quote calculator works very well to Jackson, Mississippi. We typically ship between one and seven days from the date you first make it available. Our statistical history shows that other areas of Mississippi may take longer. There’s not too much anybody can do about that, except maybe meet a car transport driver in Jackson or add extra money to lure an auto carrier to remote areas. All of that is assuming that the customer is in a hurry. Our quote calculator is right here on this page. Give it a try today!